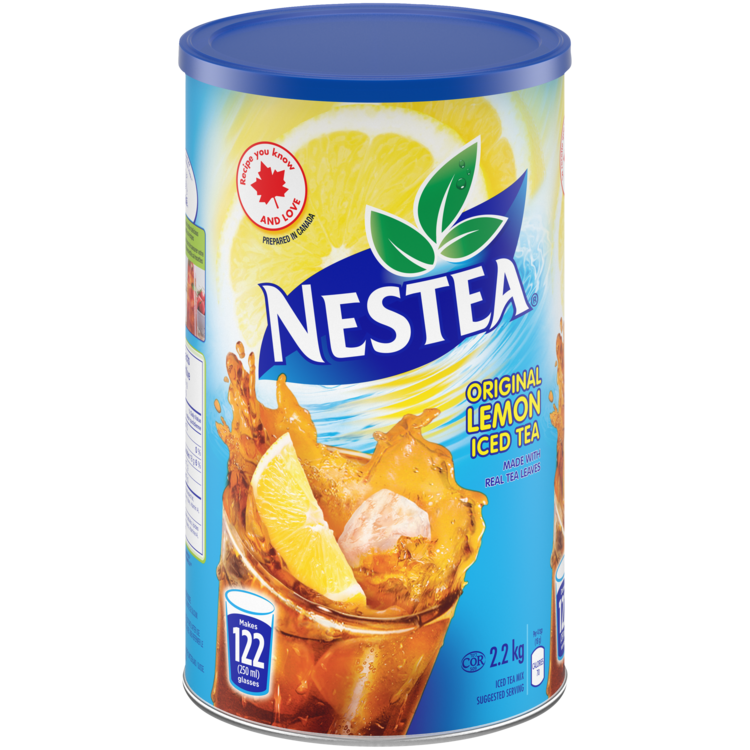 The original NESTEA recipe you know and love is back! NESTEA Original Lemon Iced Tea creates the iced tea your family loves, infused with real tea leaves and natural lemon flavours. Proudly produced in Canada, this is the original refreshing iced tea recipe that Canadian families have loved for years – and we know you will too! The original recipe you know and love is back! Creates the refreshing, classic taste of NESTEA iced tea infused with real tea leaves and natural lemon flavours. Proudly produced in Canada, this 2.2 kg canister makes approximately 122 glasses of irresistible iced tea. 70 calories per 4 tsp. (18 g) serving.